If you would like to participate in our 2013 Horse Faire on May 4th as a demo rider OR vendor see forms at bottom of the page. Volunteers, Please Click here for a release form to bring with you! Parents must sign releases for minors. REMEMBER: Our theme is Wild West Days at Horse Faire.Please dress accordingly. Wear attire as close as you can to old west days! Also dress up your booth front with that theme as well! Props, old wagon wheels, old benches etc. The more creative the better! *You can begin to set up after 2:00pm Friday May 3rd. (you may bring your car to your space to set up) . We will have some help if you need it. For those setting up Friday night, we are having a "PotLuck BBQ" so please join us and bring a salad, side dish or dessert! *A couple of us are spending the night at the event site, so your things will be guarded! *There will be a check in table at the membership booth both Friday and Saturday. Please check in the moment you arrive and sign a release form. Space # may change, so it's best to confirm your location. *Please arrive early on Saturday, May 4th, to set up 8/8:30 am would be recommended. You will avoid the rush and have a chance to get a donut and a cup of coffee! You need to have your booth ready to go by 9:30 SHARP. *You will be able to unload your vehicle at the arenas prior to 8:45 am Saturday and then you will need to drive back to park your vehicle in one of the other lots in the Park and walk back to the arenas. *Tear down will begin on Saturday at 3:15pm. You must leave a clean area when you leave. A HF staff member will check you out. *There will be NO parking other than horse trailer and handicapped vehicles at the arenas Saturday. Please advise your guests and friends that they will be walking to our event from a parking lot. *Suggested arrival time no later than 9:30am, but try to arrive early we will have someone to direct you parking in our "Big/Main" Arena by 8:00am. Check in at the white Judges stand at the front of the large arena. *Our Smaller/Warm up arena where all demos will take place for this event- will be open until approx. 10:45am. We will have a warm up area in the Big/Main arena (where trucks and trailers will be parked) as well. SAFETY-- please help us here! * Please report any unsafe condition to any of the ECWC Horse Fair Staff in the Light Blue T Shirts. *Please Help to keep the general public out of the horse Arenas for you and your horse's safety. *If you have any questions during the day on Saturday please look for one of our staff in the Equestrian Center STAFF green t-shirts. There will be someone available to watch over your space if you need to leave for a break, etc. *Please bring lots of excitement! This is our 3rd Annual Horse Faire, after all, and we thrilled with the interest in our event this year. We expect to have lots of folks who aren't horse people come again this year so please share your passion with them and thank them for coming! 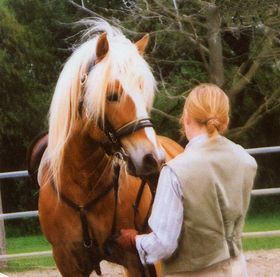 We sincerely appreciate your passion and your participation at Horse Faire! Interested in having a booth as a vendor, for your barn or organization? Click Here for an application! 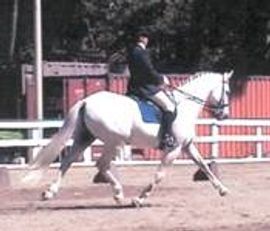 Interested in riding or showing your horse in a demonstration? Click Here for an application! 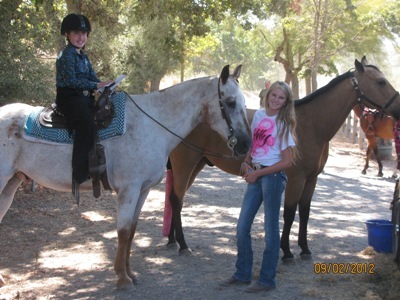 Photo of ECWC, CSHA and 4H members Sarenna Ben-Zeev and Kelly VanderWerf at our largest ever English Western Horse show! Many Thanks to all the volunteers, riders, horses, friends and family who came out to support this show. What a great way to spend part of Labor Day Weekend-- at a Horse Show! The Equestrian Center of Walnut Creek is indebted to the help of all who support our organization with your volunteered talent, time and efforts. Special thanks to the Routson sisters: Creeky(photo below) and Susan(photo above), for the generous donation of their time and expertise at the May 5th Eventing Clinic and the May 27th Dressage Schooling Show last year. We also greatly appreciate the efforts of our event managers: Jeanne Wiegand and Vicki Nuetzel, for organizing and managing these wonderful eventing and dressage clinics and shows! Pony Club Everything But the Horse Rally! Donate! See tab under More!